Shelby & Shauna Kitt and the Dimensional Holes is our latest and greatest book recommendation. When twins, Shelby and Shauna, are approached by the vice consul of planet Miriax, he asks for their assistance in closing the holes which have appeared between Miriax, Earth and the planet Klodius. These three planets all co-exist in parallel dimensions and are dependent upon each other for their energy. The vice consul explains that, in particular, Shelby and Shauna have been singled out from everyone on planet earth because of their positive energy. Because these two middle-schoolers have the most highly concentrated positive energy of anyone on earth, their energy can be channeled to help close the holes between their dimensions. But, if the holes are not closed soon, the planets will be destroyed. They, along with a team of others (mostly teenagers) are recruited to help with the mission. The twins are soon immersed in adventure in a world where inanimate objects rarely exist. People on Miriax interact with everything from library books, to modes of transportation, which all possess life-like qualities. From Lendox, the loveable vice consul, to Loola, the Mirian travel vessel, all of Marchesi's characters are full of life and energy . . . some positive, and some not-so-positive. And woven beneath this entertaining plot lies a foundation of positive messages about life, love, kindness, forgiveness and acceptance. Author, P.H.C. Marchesi has created an engaging fantasy thriller which is sure to entice and enthrall young readers. 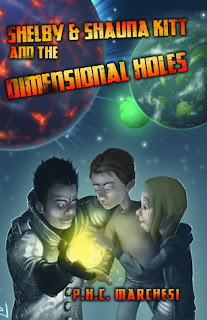 In this classic tale of good vs. evil, Dimensional Holes is filled with whimsical moments and edge-of your seat thrills. This book will keep you guessing up until the end. With every twist and turn of the plot, you will become further engrossed in this tale which is wildly imaginative and extraordinarily crafted. After reading this book, one can't help but want to spend a little time visiting the fanciful planet of Miriax. Thankfully, there is a sequel already in the works; and we look forward to visiting Miriax again soon with Marchesi's next book in the Kitt Twins' fantasy series. 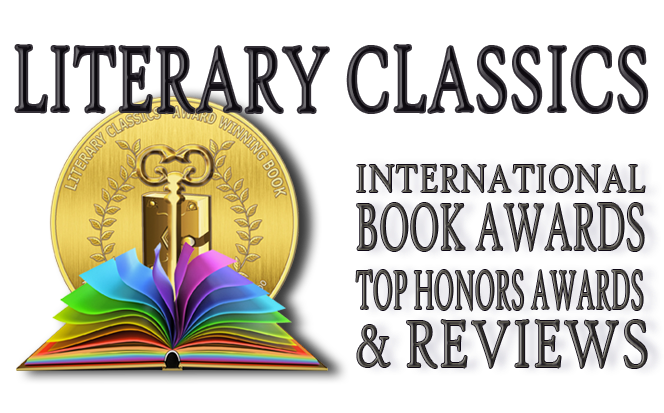 Shelby & Shauna Kitt and the Dimensional Holes comes highly recommended and has earned the Literary Classics Seal of Approval.